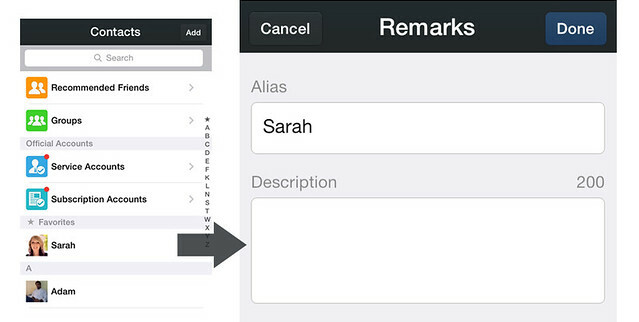 6 New Features to Love about WeChat 5.2! Most of my family and closest friends know this... I usually take so long to reply to text messages. And you know why? 'Cause I'm still using prepaid cards. So when you send me an SMS and I haven't replied in a few hours, you can bet your money that I'm probably in one of these 2 cases: either I didn't receive your text (which does happen every now and then), or I'm out of load and not in a location I can immediately load up. And while the solution may be simple -- apply for a line, I know... One app has been saving me from the hassle of always buying prepaid cards, not to mention the monthly fee if I were to apply for a line. It has also been saving my family and friends from the frustration of waiting for my text. Yup, it's WeChat, the world’s fastest growing social app with over 100 million registered accounts internationally. And yup, it's free! Just the fact that WeChat lets me communicate with my family and friends for free is already heaps of awesomeness. 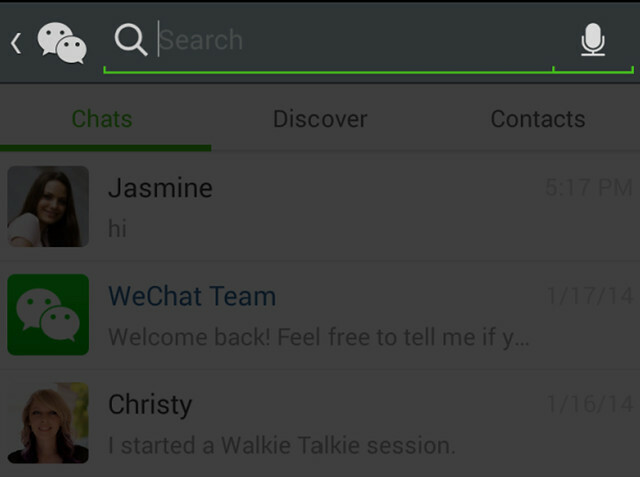 However, things can get even better with WeChat's 5.2 upgrade for Android and iOS. Aside from the usual messenger features, WeChat rolls out 6 more to help us breeze through our activities especially when we’re on the go. More convenient and sorted to fit the habits of smartphone users, WeChat 5.2 opens to a clearer interface which has its many features compartmentalized into three sections: Chats, Discover, and Contacts. Chats has all our current conversations, while Contacts is where we can start new exchanges with family and friends. As for the rest of our favorite fun features, one tap of the Discover tab can easily take us to the Moments feed as well as options including Scan QR Code, Shake, People Nearby, Drift Bottle, Games, and Sticker Shop. 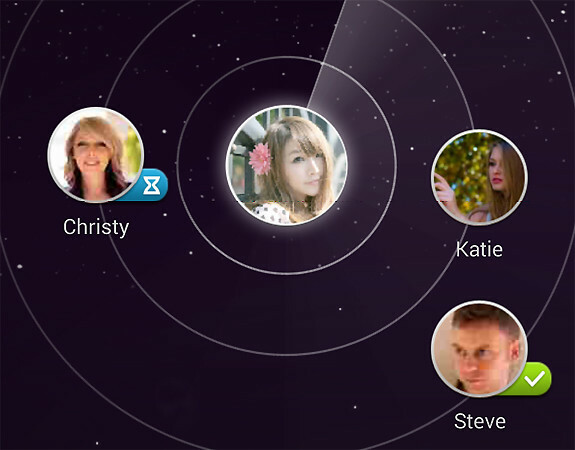 Making new friends in person and on WeChat is also made easy with the new Friend Radar feature. You can now automatically identify other users within the vicinity and choose whether to add them to your contact list by tapping their images. This crosses out the fuss of having to exchange little details and gives you more liberty to continue chatting with your new-found friends. Whether you’re in a friend's party, at the beach or in the gym, as long as you have internet access, you can go through the Menu Bar --> Add Contacts, and the Friend Radar does the digital friend-scanning for you, as you connect with the same people in person. Ever experienced problems navigating when you're convoying with a group of friends? Now, you don't have an excuse to leave anyone or even be the one left behind. With WeChat’s Real-time Location-sharing feature, everyone can be kept on the loop! Just invite your friends to share where they are, and help one another navigate your way on the WeChat map and through an integrated walkie-talkie session. 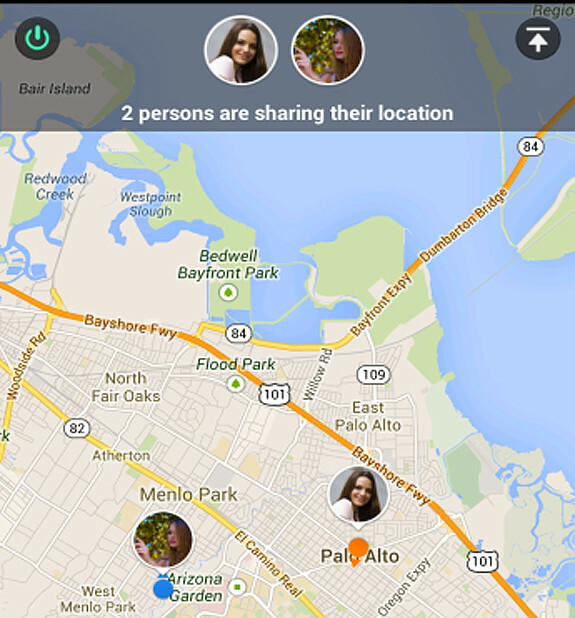 To use this, simply open a chat --> + --> Locations --> Real-time Location to view one another’s maps. If you want to upload photos in your social networking accounts but having problems scrolling through endless chats, WeChat’s 5.2 has the solution! With the integration of a Group Chat Photo Album, photos shared in the group chat -- whether from one of your beach trips or from that impromptu get-together, are arranged by date and then stored in one location accessed through a tap of the Photo Album icon. Searching for that important date in one of your many chat conversations needn't be tedious! WeChat 5.2 now has a Universal Search feature where you can quickly refer back to any message or contact by typing into the search field within the Chats tab. If you're a social butterfly with a long list of contacts, remembering every one of your WeChat friends might be a problem. You might even send a wrong message to Jenny 1, thinking she was Jenny 2. Or, if you're as OC as me, and want to keep it organized, now you can manage your networks with the Contact List Customization feature which lets you add photos, addresses and business cards to your friends’ profiles. 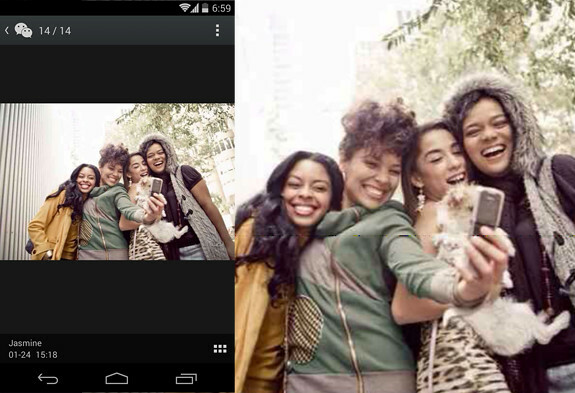 Apart from these updates, WeChat 5.2 for Android also comes with enhanced versions of its staple features. There are more animated stickers from the always-fun-to-check Sticker Shop; Group Chat Mention Notifications which will notify you when your name is mentioned in a Group Chat #IwasFloodingFTW; boosted quality for Video and Audio Chats; and a LinkedIn Account in WeChat which lets you grow your professional circle. So what are you waiting for? Upgrade now and see you at WeChat 5.2! WeChat now has a 3-Step Chat History Backup! Daily Quickie: Jollibee's Tuna Pie is back!